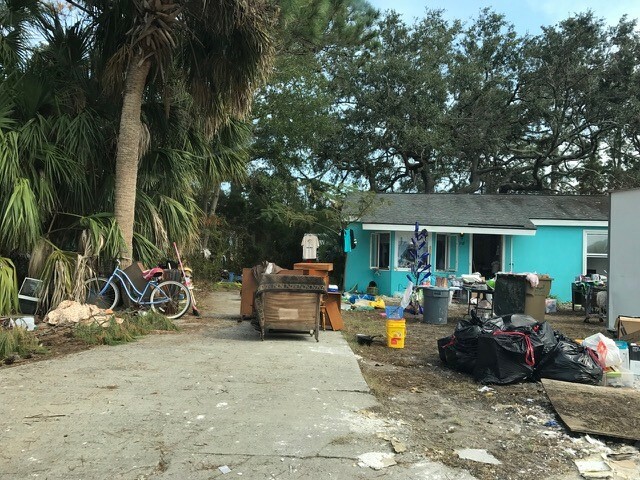 In the spring, LSG was awarded a grant from Lutheran Disaster Response (LDR) for a 30-month Hurricane Irma disaster response program in coastal Georgia areas as well as funding from United Way of Coastal Georgia, and we have started our work in the area! LSG has been involved in long-term disaster recovery work in Georgia for 13 years, assisting in home repairs, managing construction and coordinating volunteer groups to help with repair projects. This new grant from LDR is now allowing LSG to use our expertise in the areas of case management to increase our impact in the area. Now LSG helping those affected by Irma beyond their home repairs, assessing each family’s or individual’s physical, emotional and spiritual needs and ensuring those needs are met. LSG, the South Georgia Conference of United Methodist Church, and the Salvation Army are currently working with 250 families in Chatham County to assess their comprehensive needs and guide them towards resources, and to ensure that those needs are met. In addition to the case management work, LSG has also begun construction management for about 25 houses throughout the Coastal region. The repairs range from minor touch up to major work including re-roofing, framing drywall, insulation and painting. Click here to read about a couple of individuals we are working with right now. Often the people we serve are the ‘forgotten’ following a disaster. Once the majority of the trees and debris have been cleaned up, and most of the houses in the most visible areas of town are repaired, the disaster is often forgotten by the public. However, if you drive through many neighborhoods nine months to years following a disaster, you'll see tarps on roofs covering gaping holes and plywood in windows that were blown out during the storm. If you were to step inside many of the homes, you’d see water damage on the walls and floors and mold through many of the rooms. Many of the residence simply don’t have the money or the ability to access resources to make the necessary repairs. In the case of Irma in Coastal Georgia, many homeowners had just finished up repairs from Hurricane Matthew when they were hit with more damages. Often the people we help are economically disadvantage or those living paycheck to paycheck whose insurance did not adequately cover all the needed repairs to their home and property. Those we serve may have received funds from FEMA, but that money only covered a portion of their repair costs. In the event of a disaster, we rely on the generosity of others to provide help where it is most needed. LSG is in the beginning stages of its recovery work from Hurricane Irma in the Savannah area and our need for volunteers and donations is great. Lutheran Services of Georgia is looking for faith groups and other community groups who are interested in volunteering to assist with recovery efforts. Groups interested in volunteering should contact Lauren Cruickshank or Al Kates. Lutheran Services of Georgia both financial and in-kind donations (electrical, plumbing, HVAC services and construction materials are especially needed) to help with our repair and rebuilding efforts. To make a financial gift, visit lsga.org/donate. To donate in-kind gifts or offer materials at a discounted rate, contact Lauren Cruickshank and Al Kates. Those affected by Irma in Georgia who are need of assistance, can email Karen Kouzmanoff or call her at (912) 353-8875.